Marketers have always relied on the adage, “You’ll never get fired for emulating P&G.” But the rules have changed. Your customers are smarter. Big Data is overshadowing real insights. And digital channels are demanding more of your attention and ad spend. How to cut through the noise of big data. How much you should (or shouldn’t) invest in social media. How to craft marketing and brand-building strategies that create loyal customers. "After reading Zain’s book I knew that Zain had brought to light some realizations that we possibly all assumed, or knew deep down they were true, but some were so evocative I had to read the book a second time just to make sure I would retain these instances." 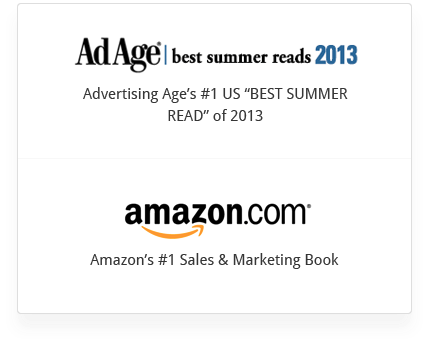 "This is truly one of the best marketing books I've ever read. Zain Raj perfectly puts his finger on the pulse of our economy, and clearly explains why old marketing techniques no longer work, and which new strategies are on the rise and why they're succeeding. A must-read!" "As always Mr. Raj puts together thought provoking ideas with an accessible reading style. Usually I want to burn marketing books, this was a breath of fresh air with solid recommendations for how to tackle your toughest problems." "Like an army preparing to fight the last war. That rarely ends well. 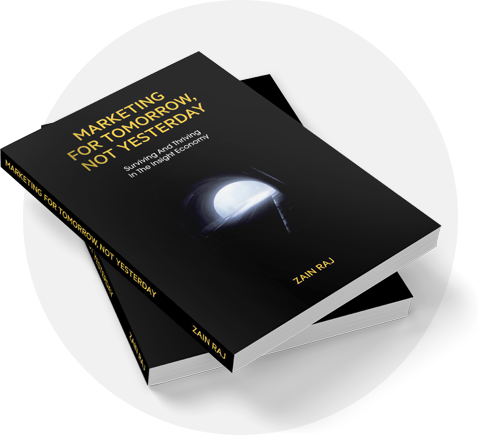 Zain Raj’s book explains why all this change is happening, how it is affecting marketing and, most importantly, helps you separate the signal from the noise and get back to basics that are important for modern marketing. One of my favorite ideas from the book is the concept that successful modern marketers are like decathletes – achieving strength in multiple disciplines – as opposed to being one sport wonders. And, to listen to an interview with Zain Raj about “Marketing for Tomorrow, Not Yesterday,” visit MarketingBookPodcast.com." "Every entrepreneur needs this book! And this is important to note - this is also incredible information for established companies and brands to learn as well. Zain Raj has written a clear guide on how to thrive in this new age of marketing, and how to stand out in an overcrowded market. Real solid tips and advice, easy to digest." Savvy business leaders and smart marketers realize that the twentieth-century model of brand marketing no longer works in today’s digital-led economy. Marketing today requires a clear change in perspective — from just driving acquisition of new consumers to a prioritized focus on retention and loyalty of existing customers. 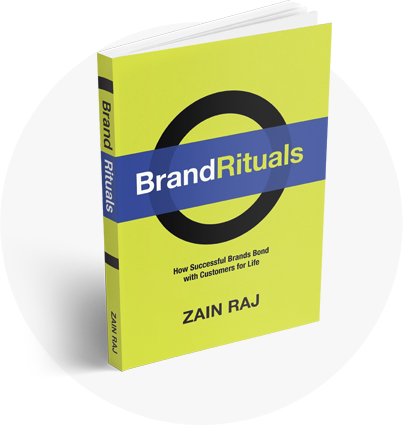 In Brand Rituals: How Successful Brands Bond with Customers for Life, Zain Raj — a recognized leader in the marketing and strategy space — posits that companies and their brands have the ability to drive significant business impact by creating a bond with their most loyal customers. Raj calls this a Brand Ritual, a deep, abiding relationship that customers build with brands — which becomes an integral part of their lives. 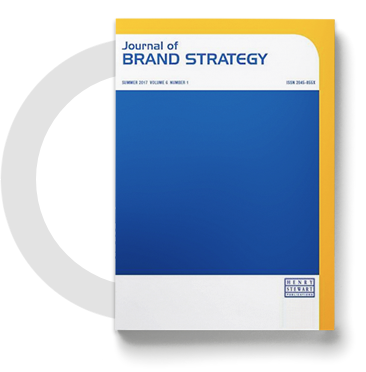 Journal of Brand Strategy is the world’s leading professional and research journal publishing in-depth, peer-reviewed articles and case studies on all aspects of brands. Guided by a senior Editorial Board, consisting of leading branding experts, each quarterly 100-page issue – published in print and online – provides detailed, practical articles from leading branding professionals on innovative strategies, techniques and trends, together with the latest applied research in branding and detailed analysis of how leading brands are managed around the world. It does not publish advertising and all content is peer-reviewed to ensure that it is of direct, practical relevance to those working in the field.